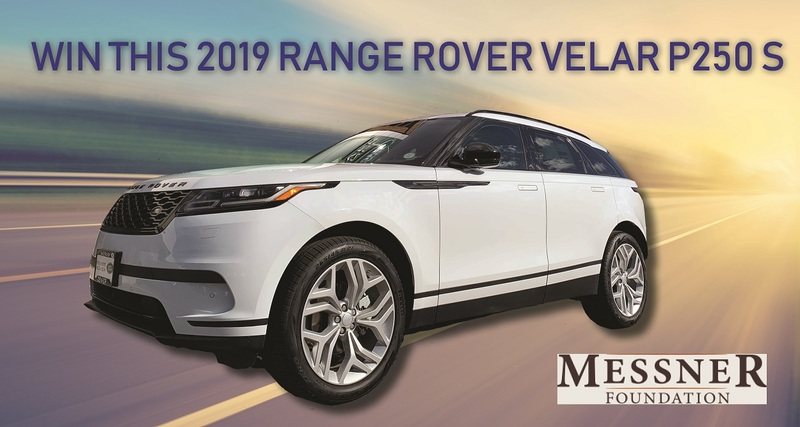 The Messner Foundation - Board of Directors is hosting a LIVE RAFFLE on June 8th, 2019 to win a 2019 Range Rover Velar P250 S automobile Grand Prize valued at $58,802.20! Proceeds from ticket sales will benefit the Messner Foundation Scholarship Program. The scholarship is available to high-achieving high school seniors who have demonstrated leadership traits, community involvement, and a strong financial need seeking to attend and graduate from a four-year college or university. The Messner Foundation not only helps Messner Scholars financially but also provides personal and professional mentoring from leaders in the business community. June 8, 2019, 9:00 PM at Sculpture Park at The Denver Performing Arts Complex, 1736 Speer Boulevard, Denver, Colorado 80204. The drawing with be streamed live. Raffle tickets cost $100.00 per ticket. No more than 5,000 tickets will be sold. Contact Jodi Meador at raffle@messnerfoundation.org or call 303-623-1800. Questions? Contact us at 303-623-1800 or click here to send email.